If you have known me long enough, you have heard me talk about my lottery dreams. Whenever I’m asked, “What would you do if you won the lottery?” my answer is always the same. I would fly everyone I love from all over the world to join together for a giant party. This is my dream. I would fly up my best friends from summer camp, my 11th grade English teacher, my family in Kolkata, my landfamily in Armenia and the ladies at the bakery in Stepanavan. I would fly in my besties from Peace Corps and college and high school and elementary school, and I would even try to find Joy who was my best friend in kindergarten even though I have no idea where she is because I moved in 1st grade. I would fly in Rajeesh and the guys from Bagmari slum, and I would fly in Katie Wendt, my penpal of 11 years. AND SO MANY MORE PEOPLE. We would party in Merryville, Lousiana, or Lometa, Texas, because neither of my grandparents are much up for travel these days. Oh, and I would invite Lady Gaga, because it’s my dream and I can do what I want. So, this gathering where all the people I love party together… it’s kind of becoming a real thing (minus the millions of dollars). First, it was ARC’s Global Leadership Conference in Gisenye, Rwanda, where I hugged so many friends I have worked with in Uganda, South Sudan, Somalia, Pakistan, and more, and then they all met each other. A few months later, it was my wedding, where all the besties and the families and the Minneapolis friends partied together so hard that I flew to the moon and back on a shooting star made of happiness. It happened again last weekend. 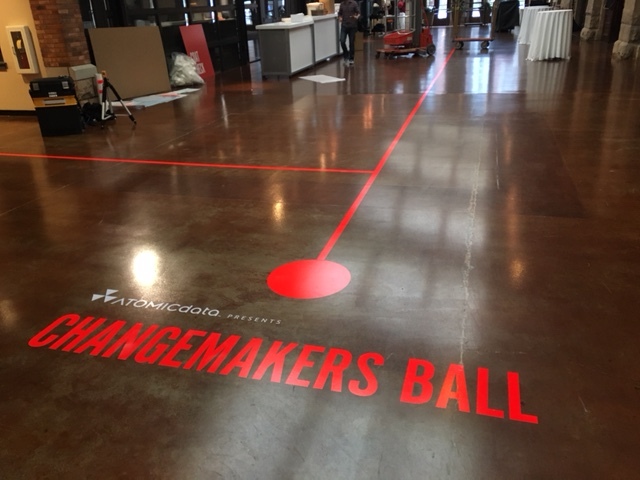 The Changemakers Ball started years ago as a fundraising event. 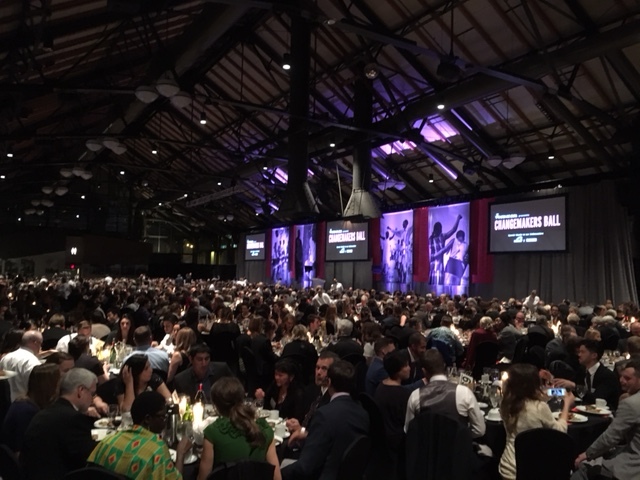 It’s a Gala, and in the world of nonprofits, one could guess that it is predictably a nice meal and a moment in which everyone is asked to open an envelope and put money in it. The Changemakers Ball is turning into my dream. That night so many of my favorite people from across the ARC universe met each other. On Friday, I picked up the Mataano twins from the airport, hugged them and wisked them off to HAUS Salon, my husband’s place. My husband brought a crowd of folks from the HAUS Salon world to the Changemakers Ball where they met my two friends from Kyangwali Refugee Settlement, Connie and Joseph, who flew in to accept their trophies as winners of the Changemakers Award. 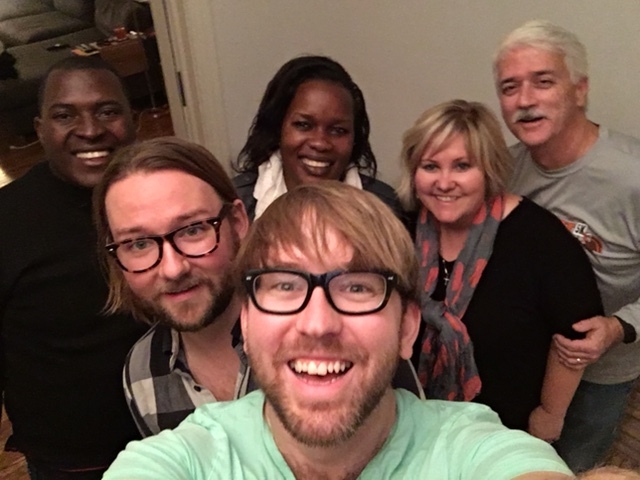 They met so many of our community here including Jim Wolford, the CEO of Atomic Data, who traveled with me on my very first ARC trip which happened to be to Kyangwali Refugee Settlement in Uganda before Connie and Joseph met our team. Jim also met my parents who flew up for the Ball from Texas. My parents met James Yugi, Senior Health Coordinator for ARC in South Sudan, and my host in Narus, a small town in the far east corner of that new country. 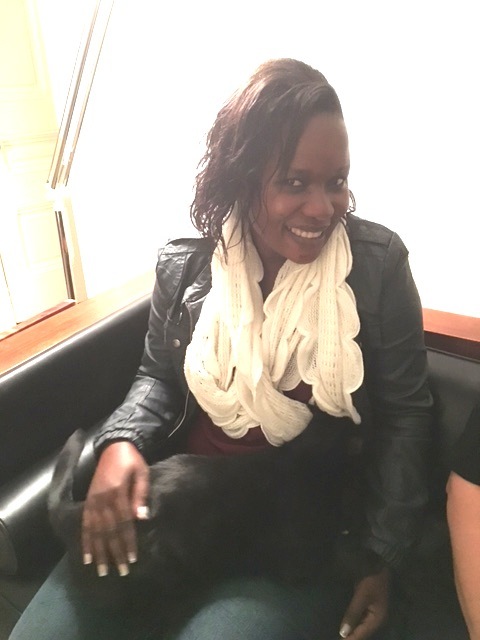 Yugi spent a lot of his time in Minneapolis with Heather Beusseler, Health Technical Advisor for ARC. Heather spent this past 4th of July in Belton, Texas, my hometown, and shared her delight from her trip with my parents when she met them at the Ball. And on and on and on and on. The stars of my ARC universe make one bright constellation. There were 1100 people in the room that night. 1100 magical souls from around the world. Sri Lanka was in the room. Kenya was in the room. 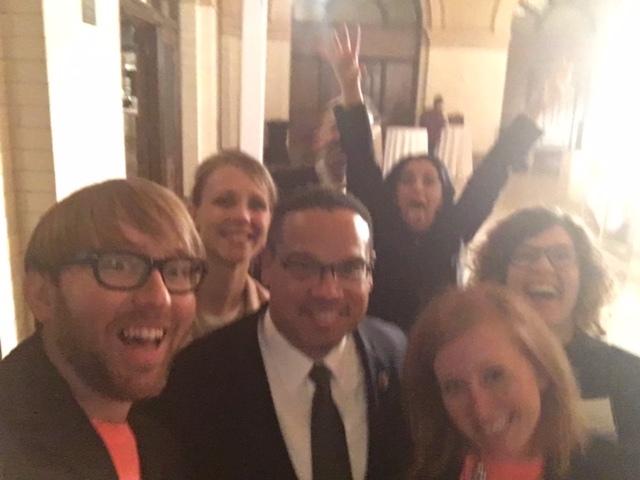 Syria and South Sudan and Texas and New York and Uganda and certainly Minnesota, they were all there. I spent the whole night grinning so hard it hurt. I dream. I dream so hard that the people I see and love all over the world will have a chance to look at each other in the eyes and see the magic that I see. The beautiful, transcendent magic alive in every soul, I see it every time. And what’s better is seeing the people I love see it in each other. I keep closing my eyes, opening them, and seeing my dreams come true. The night after the Ball, Joseph and Connie CAME TO MY HOUSE FOR DINNER. I still cant believe that these two magical people I met in Kyangwali Refugee Settlement ate our family recipe spaghetti and meatballs. And pet my cats. Ouija fell in love with Connie. Jim Wolford presented the Changemakers Award to the winners, Connie and Joseph. 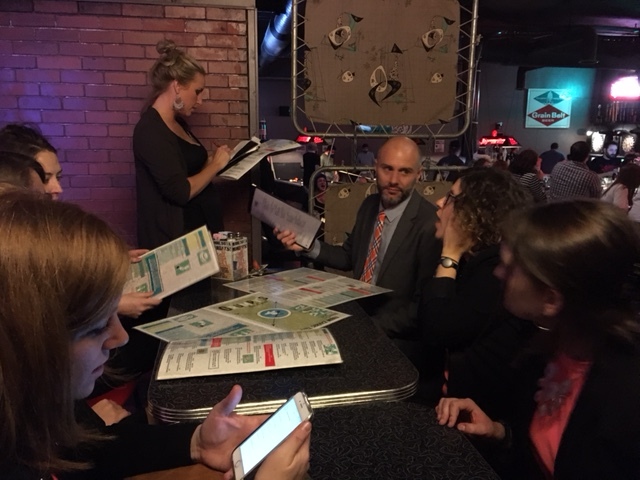 Oh, and another amazing thing that happened was that even though our team that worked the Ball couldn’t stand up afterward, we still all went to Grumpy’s and ate way too much fried food because no one got to eat the food that was served at the Ball. The best moment: watching Jim present Connie and Joseph with their awards. Gosh, I’m proud to be a part of this.